The African American broadcast Journalist, Tamron Hall is still not married. Although there have been numerous rumors of the journalist dating, there is no evidence of her relationship status. The media has linked Tamron with a lot of celebrities like late Rockstar Prince, Lawrence O’Donnell, and so on. Amidst all the rumors, there have been rumors of the beautiful broadcaster dating Lawrence O’Donnell. Tamron does not mind the rumors and is also not serious about relationships. Lawrence O’Donnell is the most rumored husband of Tamron. Lawrence O’Donnell was the long-term boyfriend of Tamron Hall since 2011. There are still rumors that Tamron Hall is dating the famous American television pundit, actor, and host, Lawrence O’Donnell. The pair has kept their relationship under wrap from the prying eyes of media. There are allegations that the couple has been dating for five long years. 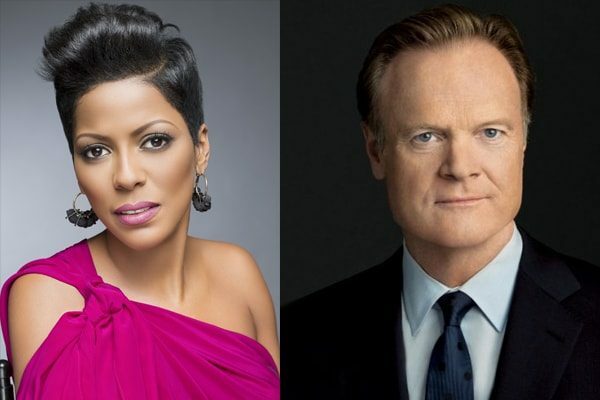 Tamron Hall and her rumored husband Lawrence O’Donnell. The pair had grooming love amidst the age and ethnic differences. The rumored husband, Lawrence, is 20 years older than Tamron. According to the HuffPost, the lovers were seen spicing their secret relationship up. Moreover, the pair were spotted canoodling at downtown haunts. The kindling romance between the couple is adored by many. However, the couple is still in denial of their relationship. O’Donnell is former husband of Kathryn Harrold. The divorced couple has a young daughter- Elizabeth Buckley Harrold O’Donnell. The 47-year-old dedicated journalist is still unmarried. Tamron Hall has always shown resentment to the question. However, in a recent interview on Steve Harvey’s show, Tamron admits to having a boyfriend. But, she is not prepared to make her unnamed beau her husband. 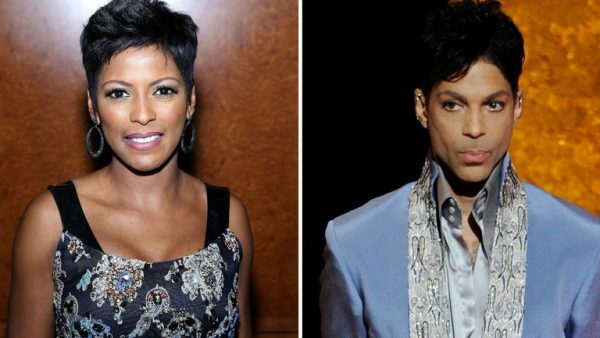 Tamron Hall and her boy friend, Prince. The journalist had a rumor or dating the late singer Prince. However, the news turned out to be fake as Tamron disclosed Prince to be her best friend.